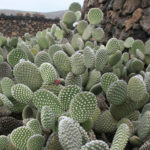 Opuntia microdasys var. 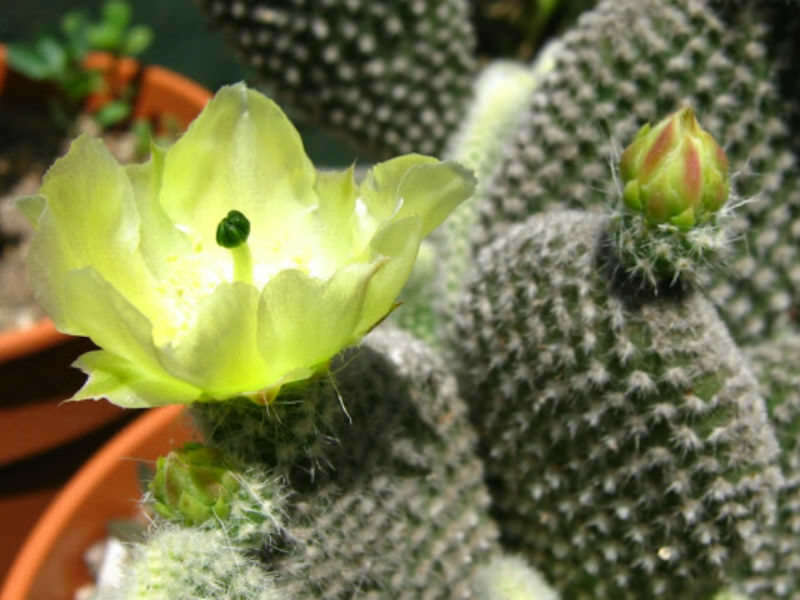 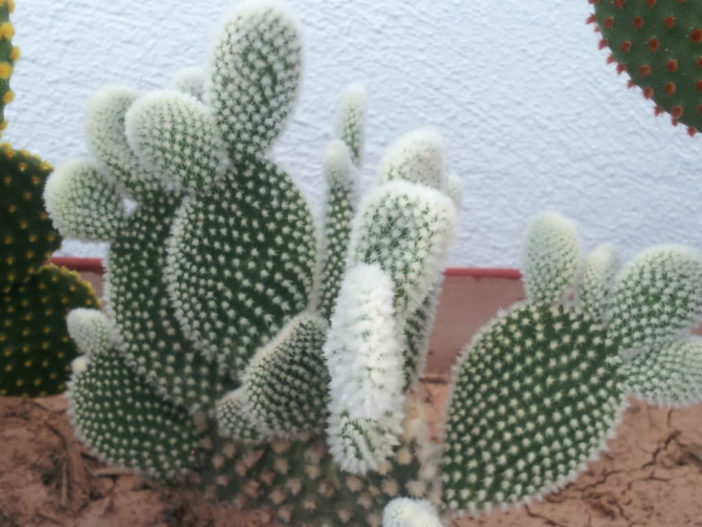 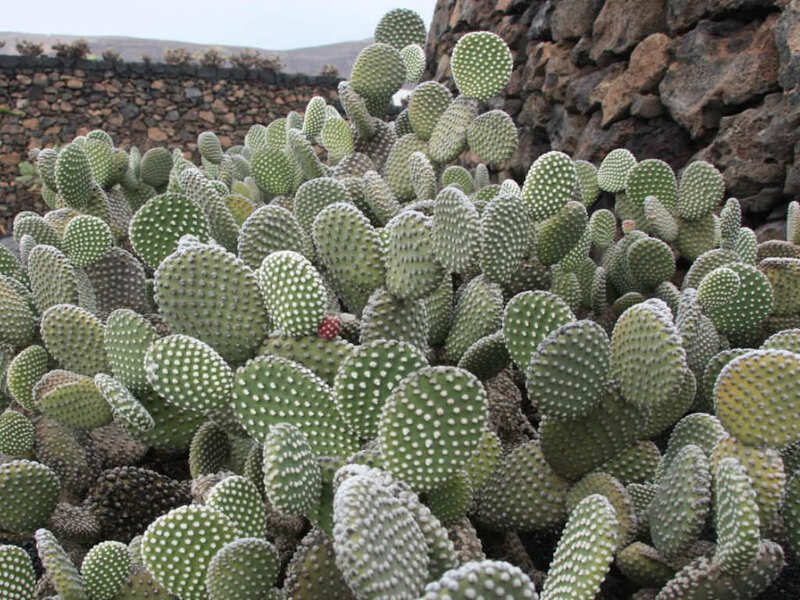 albispina is a freely clustering cactus with miniature pads. 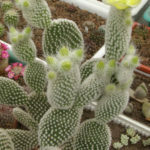 It forms a dense shrub, up to 2 feet (60 cm) high and up to 5 feet (1.5 m) across. 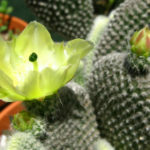 It has no spines, but instead has numerous white hair-like glochids in dense clusters. 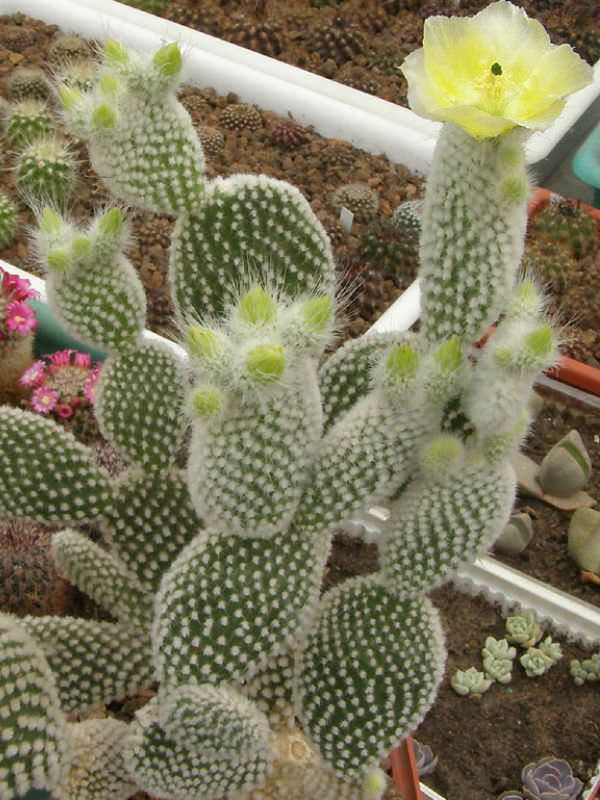 Flowers are lemon yellow in color and up to 2 inches (5 cm) in diameter, followed by red fruits.